HF: Vol. 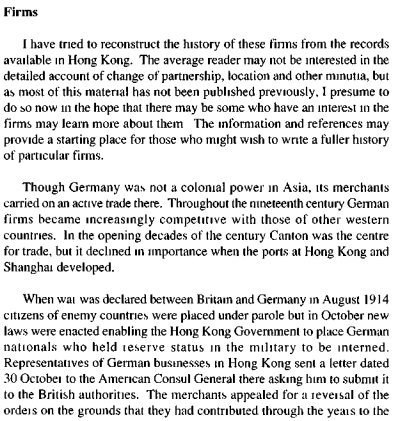 34 of the Journal of the Royal Asiatic Society Hong Kong Branch published in 1994 contains a lengthy article about German speakers in Hong Kong and of the companies they were involved in. It was written by Carl Smith. I am familiar with only a small number of these companies and even fewer of those persons working for them. I don’t think most were of what we could describe as industrial, in that they were involved in manufacturing, shipping, mining, utilities etc. However a few were and I think it is of general merit to include the whole article on our website. As the article is lengthy I think it best to break it up into at least two parts. If you have not come across Carl Smith before you can read more about the man and his quite extraordinary passion for collecting data about Hong Kong here. The whole RASHKB article is linked below. 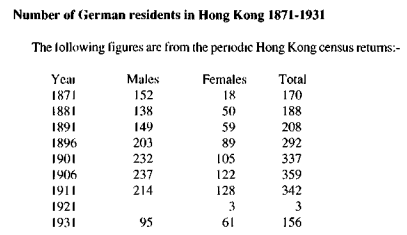 Let’s start with a gentle introduction into the numbers of Germans residing in Hong Kong either side of the turn of the 20th century. The article is divided into sections each with a subtitle. I present them here for those interested noting page numbers. Germans in the Canton trade p5 – from 1783 and one John Reed who was commissioned as head of the Austrian Imperial Factory. 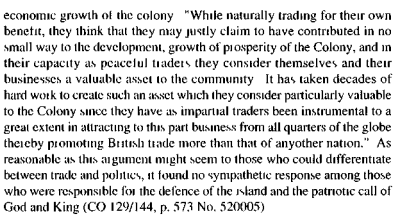 Trading establishments at that time were called “factories”. 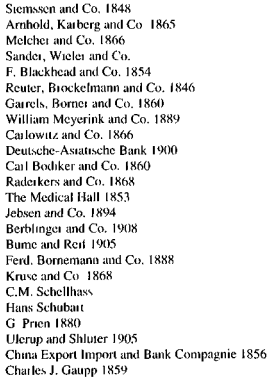 “The letter was signed by the following firms with the date of their founding:” [founding in HK I believe.] I have added a few notes on a couple of the companies. HF: It is a little difficult to read some of these in the online version so please correct any mistakes I have made in typing them out. Thanks to Dan Waters for checking the companies from the published Journal. O. Struckmeyer, Siemssen and Co. The undated photo on the Home Page is of Deutsch-Asiatische Bank in Hong Kong. 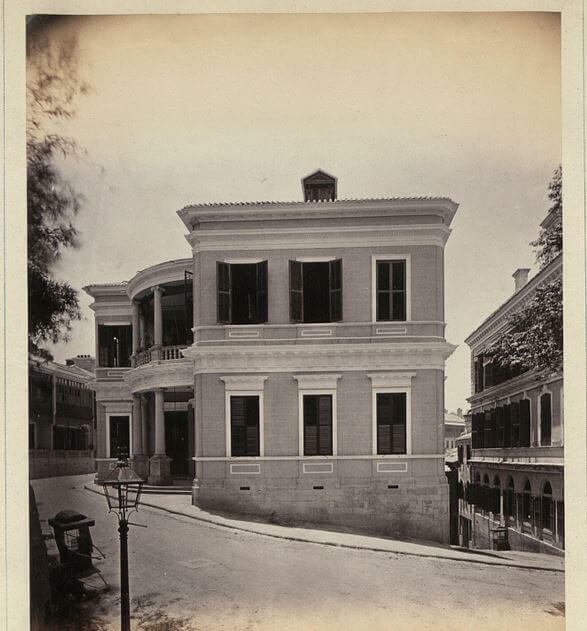 A comment by clarence kk attached to the photo says: As seen from the cross-point at Wyndham Street and Glenealy in the Central. The sloping street at the right is the present D’Aguilar Street which leads to Lan Kwai Fong.